The following guest blog post was written by Laura Wright, PhD candidate in UConn’s English Department and first-year writing instructor as well as excerpts from students in her 2016 English 1010S seminar. Building towards the Presidential Election in November 2016, Students in ENGL 1010S: Seminar in Academic Writing considered different definitions of “leadership.” The final project asked students to think critically about leadership historically through particular artifacts from the Archives & Special Collections Alternative Press Collection and Bread and Puppet Theater holdings. In one class session, Graham Stinnett, the Curator of Human Rights Collections and Alternative Press Collections, provided an overview of materials and their historical contexts. During this session, students learned about radical movements on UConn’s campus and how materials from these movements arrived in the Dodd Center. The collections students observed encompassed a range of media, including Alternative Press newspapers, like The Rat and Rising Up Angry, as well as performance programs and promotional materials from the Bread and Puppet Theatre. James Marshall (called “Jim” by friends and family) created some of children’s literature’s most iconic and beloved characters, including but certainly not limited to the substitute teacher everyone loves to hate, Viola Swamp, and George and Martha, two hippos who showed readers what a real friendship looks like. 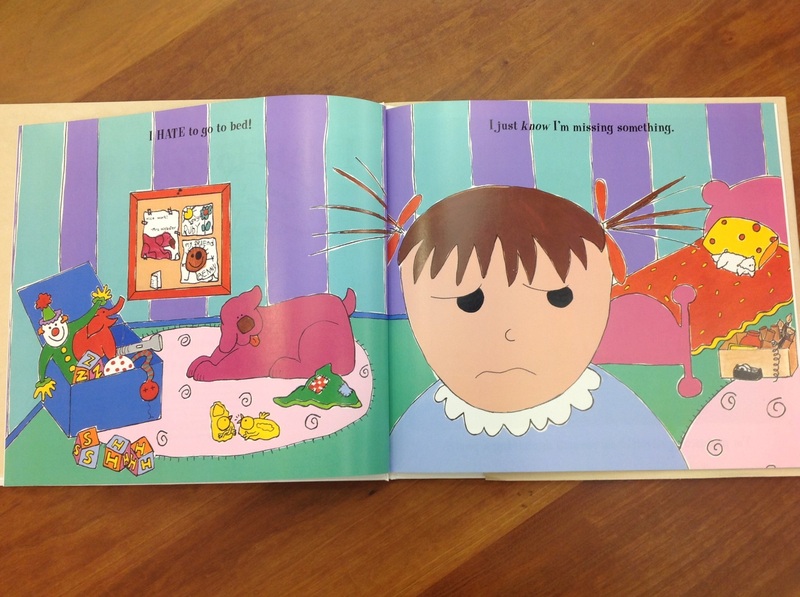 Since I am researching Jim’s life and work for a biography, I knew that visiting the James Marshall Papers in Archives and Special Collections at the University of Connecticut’s Northeast Children’s Literature Collection would be tremendously beneficial. In fact, Jim’s works and papers are also held in two other collections in this country (one in Mississippi and one in Minnesota), which I hope to visit one day, but I knew that visiting UConn’s Archives and Special Collections would be especially insightful, since Jim made his home there in Mansfield Hollow, not far at all from the University. Indeed, I spent my evenings, as I wanted to maximize every possible moment during my days for exploring the collection, talking to people there in Connecticut who knew and loved Jim, including his partner William Gray, still living in the home they once shared. I came to Archives and Special Collections at the Thomas J. Dodd Research Center on a mission, as an avenging angel, if you will. My self-imposed charge: to defend an author I loved as a child, and continue to love, from criticism of her work that I felt was mistaken, or at least misguided. 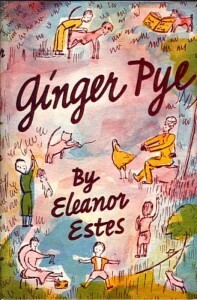 Eleanor Estes (1906-1988) was one of the most highly acclaimed children’s authors of the mid-twentieth century. I grew up reading her classic stories about the Moffats and the Pyes, and her hauntingly beautiful, iconic tale of childhood bullying, The Hundred Dresses. Born in West Haven, Connecticut, and launching her career as a children’s librarian in the New Haven Free Public Library, Estes reaped three Newbery Honors in three successive years for The Middle Moffat (1942), Rufus M (1943), and The Hundred Dresses (1944) and finally went on to win the John Newbery Medal, awarded for the most distinguished contribution to American literature for children, for Ginger Pye (published in 1951), followed by a sequel, Pinky Pye, in 1958. Praised for her microscopically careful observation of the inner life of children, she’s invariably heralded as a leading figure in any discussion of the genre of the “family story.” But she’s also been criticized for what is taken to be her failed attempts, in her later books, to provide more of a sustained and satisfying plot. The two books about the Pyes (Ginger Pye and Pinky Pye) differ notably from the three earlier books about the Moffats in shifting from an episodic format to a plot structure built around a single, unifying dramatic question, in both cases involving the solving of a mystery. 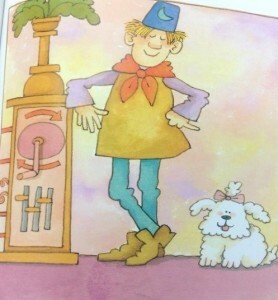 Who stole the Pyes’ dog Ginger Pye? What happened to the little owl lost at sea that ends up becoming Owlie Pye? In both books, the solution to the mystery is extremely obvious, with insistent foreshadowing of the ultimate resolution and blatant, repetitive telegraphing of every clue. This has been widely regarded by adult critics as unsatisfying. But as I read these two books, Estes isn’t trying and failing to provide a suspenseful mystery. Instead, both books can be read as positively cautioning readers against traditional storytelling techniques, with their “dramatic build-up” and “logical progression toward climax.” Read carefully, both books suggest that suspenseful storytelling can be actually dangerous, its risks greater than its rewards. Estes shows her characters themselves engaging in sensationalist, overly dramatic storytelling with near-disastrous results: for the missing owl (in Pinky Pye) and missing dog (in Ginger Pye. As Papa insists upon theatrical revelation of the discovered location of the little owl, he prolongs the telling of the story to such an extent that the owl is meanwhile endangered by the predatory kitten; as Jerry and Rachel Pye fashion a sensationalist account of Ginger’s kidnapping by an “unsavory character,” they misdirect the police and fail to notice the actual, far more humdrum, culprit. Both books, then, contain within themselves material for a critique of exactly the kind of suspenseful fiction Estes is chided for not providing. I wondered, however, if Estes herself would share my reading of her books. Perhaps the critics were correct, and she tried and failed to provide more satisfying suspense. Or perhaps I was correct, and her philosophy of storytelling pointed her in a very different direction. So I spent an enchanted week the Thomas J. Dodd Research Center examining Eleanor Estes’s papers – drafts of speeches she gave throughout her career and extensive editorial correspondence from Ginger Pye’s editor, the legendary Margaret McElderry – in search of support for my claims that Estes did not try and fail to provide suspenseful storytelling in her Pye books, but chose not to do so because of her commitment to a different way of engaging with young readers. And find it I did. The clearest answers to my questions about Estes’s literary method came in Box 16, Folder 201, which contained a sheaf of 4 x 6 index cards with handwritten answers to interview questions for a talk at Albertus Magnus College in 1973. In response to the query “Do you think that violence in children’s literature can psychologically damage a ‘normal’ child?” she first problematizes the whole idea of a “normal child,” noting that children have a wide range of sensitivities; she then confesses that she was one of the more sensitive, who tended “to shy away from extreme violence in life, and on the screen and stage. Even not look when the bad man came on.” She goes on to say, “I am not an escapist. But in books for children . . . I don’t see the necessity of depicting life as it really is.” For Estes, then, it was permissible, even commendable, to prioritize comfort over danger, and to center her story less on what happens than on children’s quiet and wry observations in response. Of course, along the way I found much, much more. What a window into a now-vanished world of publishing is provided by the yellow Western Union telegram from Margaret McElderry with its all-caps shout of joy: CHEERS FOR GINGER. SEND EXPRESS IN BOX. INTEREST AT BOILING POINT. LOVE MARGARET. These are not the notes of someone who prioritizes the construction of tightly ordered plots, but someone who celebrates the shifting, fragmented way that children look upon and inhabit the fleeting world of childhood. Claudia Mills is Associate Professor emerita in the Philosophy Department at the University of Colorado at Boulder and a frequent visiting professor at DePauw University in Greencastle, Indiana. Most of her essays on children’s literature explore ethical and philosophical themes in children’s books. 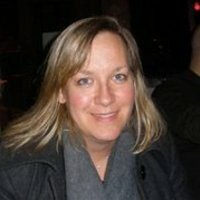 She is also the author of over fifty books of her own for young readers, including most recently The Trouble with Ants (Knopf, 2015, launch title of the Nora Notebooks series about a girl who wants to grow up to be a myrmecologist) and Simon Ellis, Spelling Bee champ (Farrar, 2015, the fourth book in the Franklin School Friends series). Claudia Mills is a 2015 recipient of the Billie M. Levy Travel and Research Grant. Townsend, John Rowe. 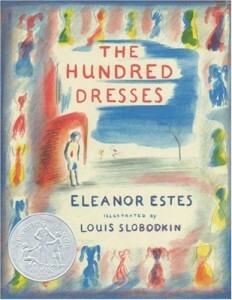 “Eleanor Estes.” In A Sense of Story: Essays on Contemporary Writers for Children. Philadelphia and New York: J. B. Lippincott, 1971: 79-85. Wolf, Virginia L., “Eleanor Estes,” in American Writers for Children, 1900-1960, ed. John Cech, Detroit: Gale, 1983: 146-56. 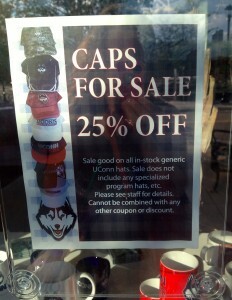 A simple and serendipitous anecdote demonstrates this: While researching her papers at UConn’s Archives and Special Collections this summer, I was living across the street from the UConn Bookstore. 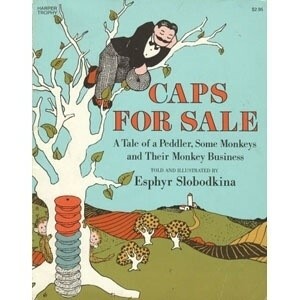 One day, I noticed a display in the window announcing “Caps for Sale” [Fig. 1], clearly alluding to one of Slobodkina’s most popular books of the same name [Fig. 2]. The power of the sale poster derives from and depends on the reference to the book, which is assumed to be automatic. There is a fair amount about Slobodkina’s life and work available. The Finding Aid for the Slobodkina Papers at Archives and Special Collections provides a brief biography as does the website of the Esphyr Slobodkina Foundation. The 2009 Rediscovering Slobodkina: A Pioneer of American Abstraction includes information on her life as well as her contributions to the art world, but the full biography has yet to be written. Esphyr Slobodkina anticipated that it would be written, however, and drafted a comprehensive, detailed, 5-volume manuscript “Notes for a Biographer” which resides in her papers. The Slobodkina Papers contain much more than is in her books – things that would never be published but which give a researcher like me access to insights into the thoughts and motivations of the artist. One of the pleasures of this kind of archival research is not only this intimate and personal connection one makes across time, but also the unexpected revelations into the personality of the artist that informs her work. My intention here is to provide some of those “off the books” glimpses into the work and person – Esphyr Slobodkina. 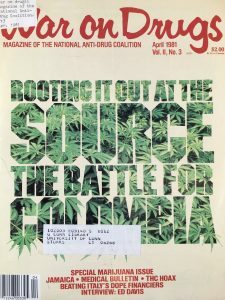 A new finding aid is now available for the Emily Arnold McCully Papers. The collection consists of sketches, dummies, research materials and artwork for eight of her books: The Taxing Case of the Cows, the Divide, Old Home Day, Ballot Box Battle, Ballerina Swan, My Heart Glow, Secret Seder, and The Helpful Puppy. Emily Arnold McCully, an American writer and illustrator, won the Caldecott Medal for U.S. picture book illustration in 1993, for Mirette on the High Wire which she also wrote. Ballot Box Battle (New York : Alfred A. Knopf, 1996). All rights reserved. She was born in Galesburg, Illinois, in 1939, and grew up in Garden City, New York. She attended Pembroke College, now a part of Brown University, and earned an M.A. in Art History from Columbia University. At Brown she acted in the inaugural evening of Production Workshop and other plays, co-wrote the annual musical, Brownbrokers, and earned a Phi Beta Kappa key. In 1976, she published a short story in The Massachusetts Review. It was selected for the O’Henry Collection: Best Short Stories of the Year. 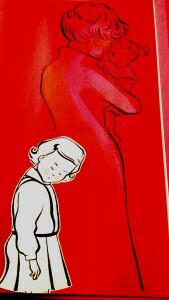 Two novels followed: A Craving in 1982, and Life Drawing in 1986. In 2012, Ms. McCully published Ballerina Swan with Holiday House Books for Young People, written by legendary prima ballerina Allegra Kent. It has received rave reviews from The New York Times, Kirkus Reviews, and School Library Journal and was praised in the “Talk of the Town” column in The New Yorker. 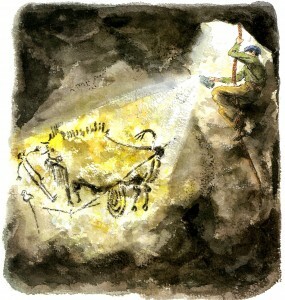 Secret Cave: Discovering Lascaux (New York : Farrar Straus Giroux, 2010). All rights reserved. As an actor, she performed in Equity productions of Elizabeth Diggs’ Saint Florence at Capital Rep in Albany and The Vineyard Theater in New York City. In addition to the Caldecott Award, Ms. McCully has received a Christopher Award for Picnic, the Jane Addams Award, the Giverney Award and an honorary doctorate from Brown University. Civil Rights Childhood: Picturing Liberation in African American Photobooks (University of Minnesota Press). 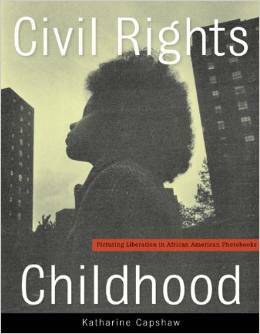 Dr. Capshaw’s latest book, Civil Rights Childhood: Picturing Liberation in African American Photobooks was published by University of Minnesota Press in 2014. In it Dr. Capshaw “…draws on works ranging from documentary photography, coffee-table and art books, and popular historical narratives and photographic picture books for the very young.” (http://generalbooks.bookstore.uconn.edu/event/book-launch-katherine-capshaw). Please join us on Wednesday, March 25, 2015 at 4:00pm at the UConn Co-op Bookstore, One Royce Circle, 101 Storrs Center, Storrs, CT 06268. For more information call 860-486-8525. 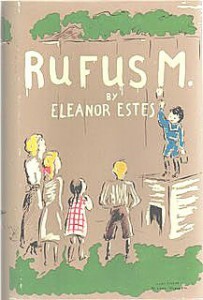 Kay Thompson’s Eloise (New York : Simon and Schuster, 1955). Illustrated by Hilary Knight. Pg. 7. At 9pm on March 23, 2015, HBO will present a documentary produced by Lena Dunham, titled It’s me, Hilary: the Man who Drew Eloise, in commemoration of the 50th anniversary of the first Eloise book. Lena Dunham, now 28, bears a tattoo of Eloise that is visible at times during her appearances on the HBO show Girls, so Hilary Knight sent her a signed book and a letter asking Ms. Dunham to share Indian food with him. The rest, as they say, is history. Read the full LA Times story. 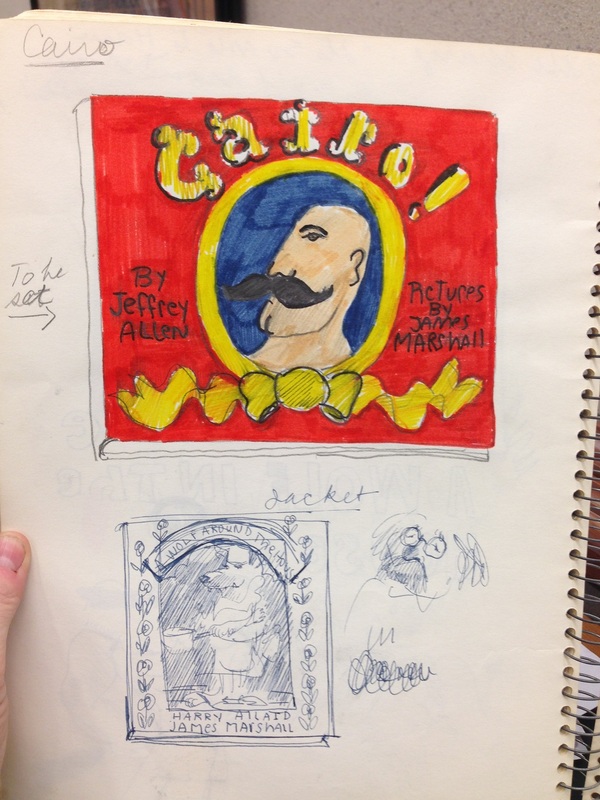 The Northeast Children’s Literature Collection holds some of Mr. Knight’s archival papers. Don’t miss the show tonight at 9pm. Random House announced yesterday that it will publish What pet should I get? which features the brother and sister from One Fish Two Fish Red Fish Blue Fish. The manuscript and sketches were found in a box along with the original materials for at least two other books. Random House will announce the publication dates for the other new releases later. ABC’s Good Morning America announced the story this morning as well as USA Today. What fantastic news for fans of Dr. Seuss. This event is sponsored and hosted by the University Co-Op. For more information, please feel free to contact Cathy Schlund-Vials (cathy.schlund-vials@uconn.edu<mailto:cathy.schlund-vials@uconn.edu>). The Penn Libraries’ Children’s Book Symposium Creating Children’s Books: Collaboration and Change will take place in conjunction with two fall exhibitions in the University of Pennsylvania Libraries. The exhibitions are “As the Ink Flows: Works from the Pen of William Steig” which will explore the life and career of the artist, cartoonist, and children’s book author/illustrator William Steig, and “The School of Atha: Collaboration in the Making of Children’s Books” which celebrates the life and work of Atha Tehon, children’s book designer and longstanding Art Director for Dial Books for Young Readers. The symposium will be held on October 17-18, 2014. For more information and the registration form, go to www.library.upenn.edu/exhibits/childrensbooks_symposium.html. A picture book starts with a great story told in words (and in the sound of words read out loud). 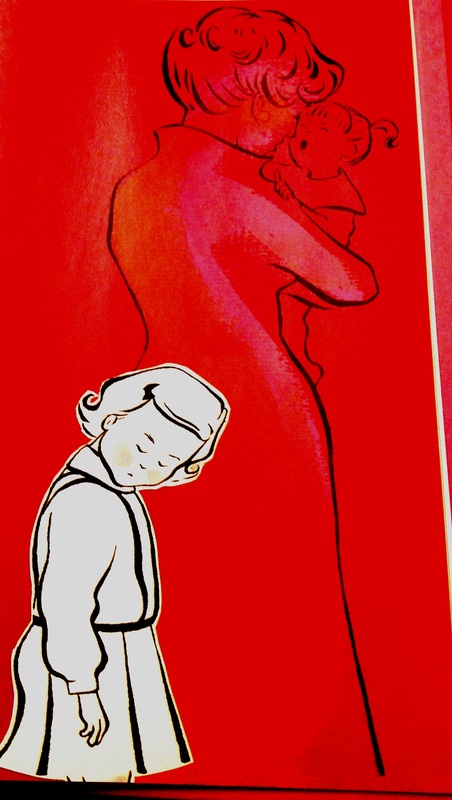 Illustrations accompany the author’s story. In the best picture books, the illustrations actually expand the story. 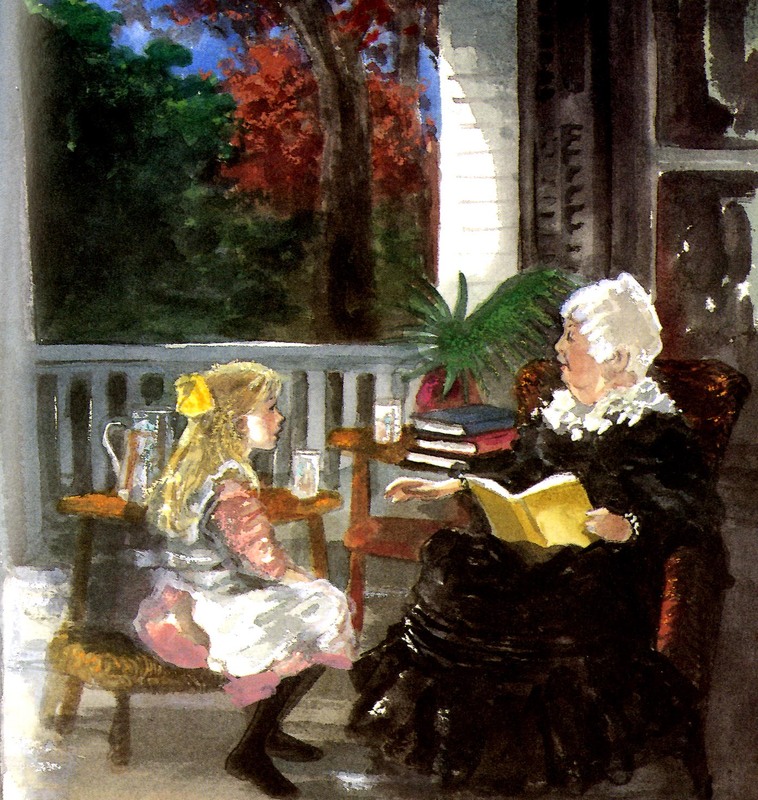 The adult reader, as well as the child listening, feast visually on these layers that enrich the text in delightful and often unexpected ways. As a picture book author, I focus my drafting and revision efforts on the story I want to tell. An illustrator’s considerable contribution to the final product most often comes long after I am done with my personal revision process (and any revisions guided by an acquiring editor). The publisher’s editor and art director usually select, guide, and supervise the artist. So the illustrator’s role seems a bit remote to me as I ply my craft. But remembering that layers can and should be added via art will help me create opportunities for an illustrator to deepen and expand my stories. 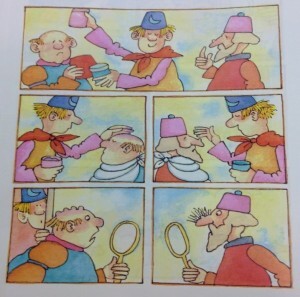 What does one find in the layers added to a picture book by illustration? Here are some thoughts, based on examples from author/illustrator archival material. Anita Riggio writes and illustrates from the heart. Emotion is the starting point for her wonderful stories. In Smack Dab in the Middle, Rosie Roselli is “smack dab in the middle” of her large, busy Italian family. Her many joyful accomplishments at school are ignored when she tries to share them at home, and she starts to wonder if maybe she isn’t the center of her loving family universe after all. were full of Rosie’s sister. It smelled like a hug. Anita’s evocative words tell us of Rosie’s need; they give the reader an expanded sense of story by dwelling on the scents (which can’t be illustrated) that she associates with her mother. Riggio, Anita. Smack Dab In the Middle! (New York: G.P. Putnam’s Sons, 2002), 21. Photo taken from CLDC776, Archives and Special Collections at the Thomas J. Dodd Research Center, University of Connecticut Libraries. After a few false starts, Mabel was considered an expert in the field. After a few false starts, Mabel got to really like her work. Working in the dark presented its own challenges. All text versions support the three scenes shown below, although the final version perhaps is the funniest, with its spare understatement. 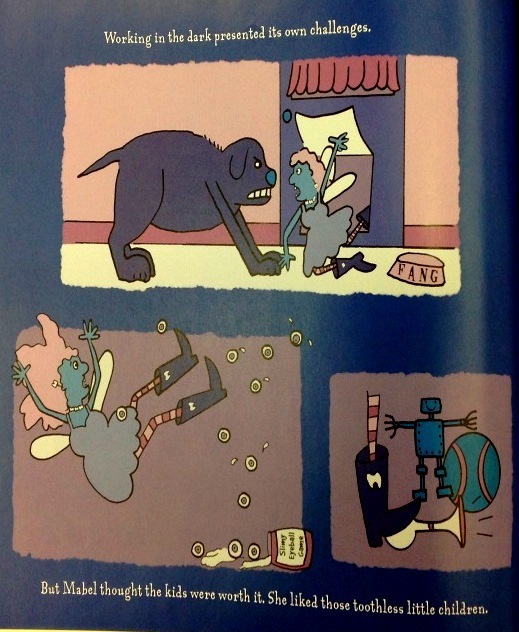 The illustrations show the tooth fairy being accosted by the household mutt, slipping and falling on spilled “marbles,” and making noise by stepping on a toy horn. The pictures transport the reader; the text does not say, “The dog of the house attacked me. I stumbled over a jar of spilled eyeballs…” Another whole layer of action/plot (with humor—the marble jar reads, “Slimy Eyeball Game”) has been added to the story through these illustrations. Davis, Katie. Mabel the Tooth Fairy and How She Got Her Job (Orlando: Harcourt, Inc., 2003), 16. Photo taken from CLCD1438, Archives and Special Collections at the Thomas J. Dodd Research Center, University of Connecticut Libraries. Things weren’t going too well. 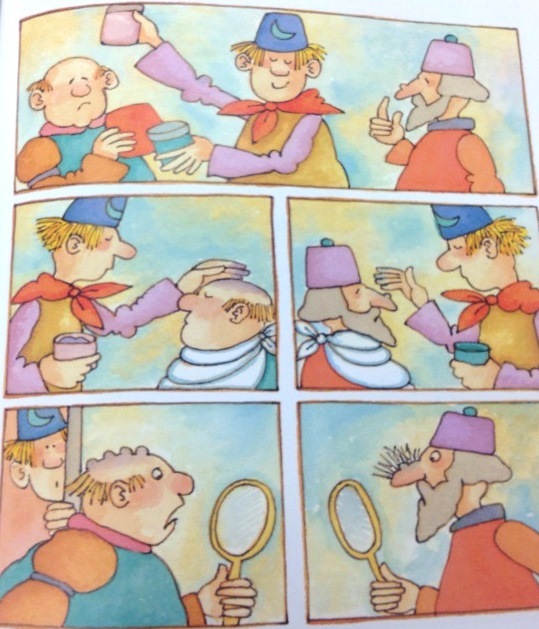 (Source:Tomie dePaola Papers Box 41:125K). 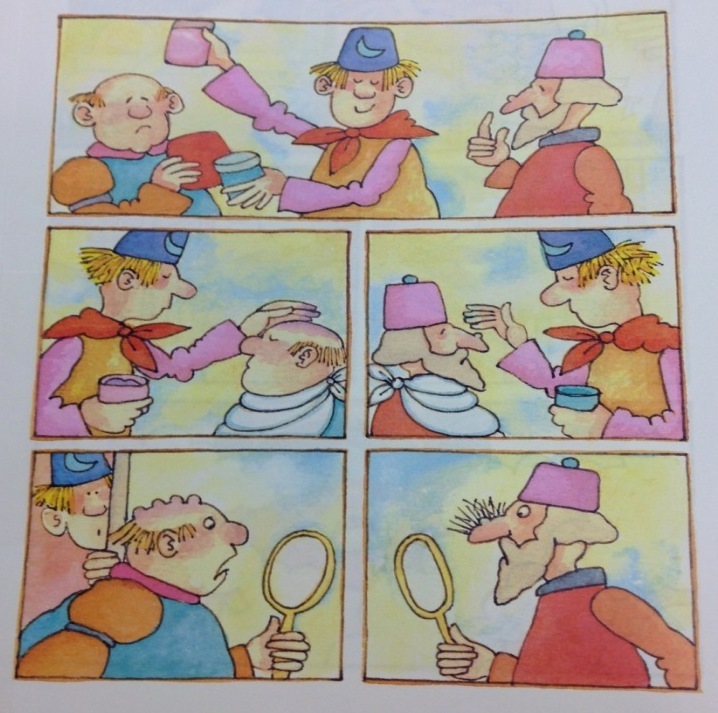 Tomie then created illustrations (see below example of mixing up wart cream and hair restorer) to develop the humor of Big Anthony’s bumbling efforts. Illustration for Strega Nona Meets Her Match, folder 125Y, Box 41 of Tomie dePaola papers. All rights reserved. No reproduction of any kind allowed. Big Anthony smiled. He was in charge. The first day he ran the husband and wife machine backwards. 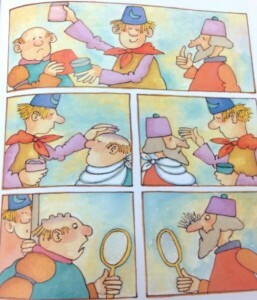 The second day he confused the wart cream with the hair restorer. As an author, I suspect that this lengthier text is where I would start my writing process for the same story action. How else would a reader know of the funny mishaps I envision? One possibility would be to include brief illustration suggestions to go with spare text. However, unlike an author/illustrator, who can write such notes to him or herself or to the editor (as Tomie did), an author must tread carefully when making suggestions for art so as not to be directing or limiting the illustrator’s creativity. The right balance of text and art is achieved on pages 21–23 of the published book (see below). The complexity of Tomie’s illustration panels benefit from the added text that helps communicate his intent and humor regarding Big Anthony’s bumbling. The added text also nicely paces the story, allowing the reader to dwell on these silly mishaps. dePaola, Tomie. Strega Nona Meets Her Match (New York: G.P. Putnam’s Sons, 1993), 21–23. Photo taken from CLDC776, Archives and Special Collections at the Thomas J. Dodd Research Center, University of Connecticut Libraries. Authors as well as author/illustrators must be mindful that there is a balance to be found between the read-aloud component and the illustrations in a picture book. However, an author who writes minimal text (even though he or she has a vision for what an illustrator might add) may run the risk of creating a manuscript that seems too slight or unclear to an editor, or perhaps, to young readers who may need some words to decode illustrations. As I write and revise stories, I’ll keep thinking about layers. I’ll remember that my words need not dwell on emotions that an artist can convey with illustrations. I will deepen stories by words that can’t be shown in the art. I’ll choose words that may give an illustrator opportunities to take my protagonist to places (literally) other than those I may have had in mind. And if I am writing “funny,” I’ll strive for spare text that will encourage a clever artist to add visual jokes and hyperbole. I shall have trust to let an illustrator help tell my story—so that “our” story will marry text and art in a truly memorable picture book. A recipient of a 2014 Billie M. Levy Research grant, Janet Lawler of Farmington, CT, is studying the relationship between art and text in picture books at the Northeast Children’s Literature Collection. Through studying the work and process of author-illustrators, she hopes to better understand how a story’s text interfaces with the art. She is searching for a deeper comprehension of why the best picture books are those where the final product is “greater” than the sum of the parts (text + illustrations). She looks forward to applying knowledge gleaned from her research to her own work process as a children’s author. Ms. Lawler’s picture books have been published by major and specialty publishers. Two have been Children’s Book of the Month Club main selections, and two have been licensed into the Scholastic Book Clubs. If Kisses Were Colors has been translated into Spanish, Japanese, Hebrew, and Korean. Her recent credits include Ocean Counting (National Geographic, 2013 (named a 2014 Outstanding Science Trade Book by the National Science Teachers Association)) and Love Is Real (HarperCollins, 2014). National Geographic will publish Rain Forest Colors in November of 2014. As a writer, I confess to a long-held jealousy of the author/illustrator who gets to “play” with both parts of the picture book package, from idea through publication. I somehow had the idea (prejudice?) that creating a picture book is easier for these multi-talented people because they can “see” the whole project; the story (and related art) must just flow for them. I suspected that their process would not include the painstaking attention that I give to every word, and to every one of multiple variations of a story. Although I have had several well-received picture books published, I continue to strive to improve my craft. I decided that a study of the process of author/illustrators might well help me better understand the magical interface of text and art that occurs in the best picture books. I hope my research helps improve my skill as a picture book writer, even if unlocking the secrets of author/illustrators can’t turn me into an artist. Because I mostly write for the very young, I started my research with archival material of author/illustrator Katie Davis, who also writes for this audience. While I have only completed a review of two of her picture books, Kindergarten Rocks! and I Hate to Go to Bed!, I have already learned so much. And I have totally discarded my assumptions and prejudices. Katie’s author/illustrator process is meticulous and time-consuming. For I Hate to Go to Bed! I studied twenty-seven dummies that Katie created. Each one included text revisions and illustration revisions, as she tweaked her story in major and minor ways. It appeared that many of these versions were done as part of her creative process before she came to the point where she was satisfied and ready to show a dummy to an editor. (I hope to interview Katie, to confirm this and ask other questions). I now think that the author/illustrator’s job of writing a story may even be harder than mine because he or she thinks visually and can see so many possibilities. I hate to go to bed! This is because I’m a very outgoing person and I can’t stand the idea that I’m missing something. And I just know I’m missing something really fantastic. I hate to go to bed. This is because I’m a very fun person and I can’t stand the idea that I’m missing something fun. And when I’m sent to bed, I just know I’m missing something really fantastic. I hate to go to bed! My mama and daddy absolutely swear nothing good is happening and that I won’t miss anything but I’m not too sure. I hate to go to bed! This is because I’m a very fun person and I just know I’m missing something really fantastic. I hate to go to bed! Because I just know I’m missing something really fantastic. I HATE to go to bed! I just KNOW I’m missing something. I HATE to go to bed! I just know I’m missing something! 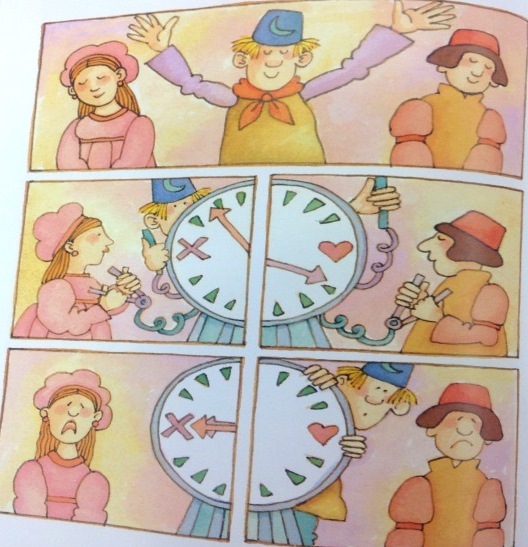 A study of the illustrations in these many dummies reveals a similar “visual” revision process. 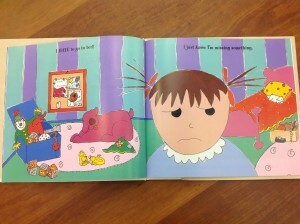 All of the dummies show a frowning little girl (Katie captured her protagonist immediately). Some of the earliest dummies show “thought bubbles” of her parents partying after she is asleep. Others show her room with piles of toilet paper rolls (from which she later makes binoculars for spying). In some, her matching fowl (ducks/chicks?) slippers are quipping back and forth. 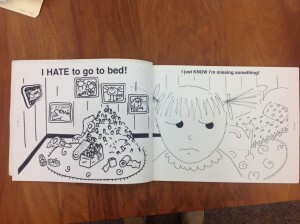 Here are three examples of Katie’s many illustrations drawn for the opening spread of I Hate to Go to Bed! Click on each image to enlarge. 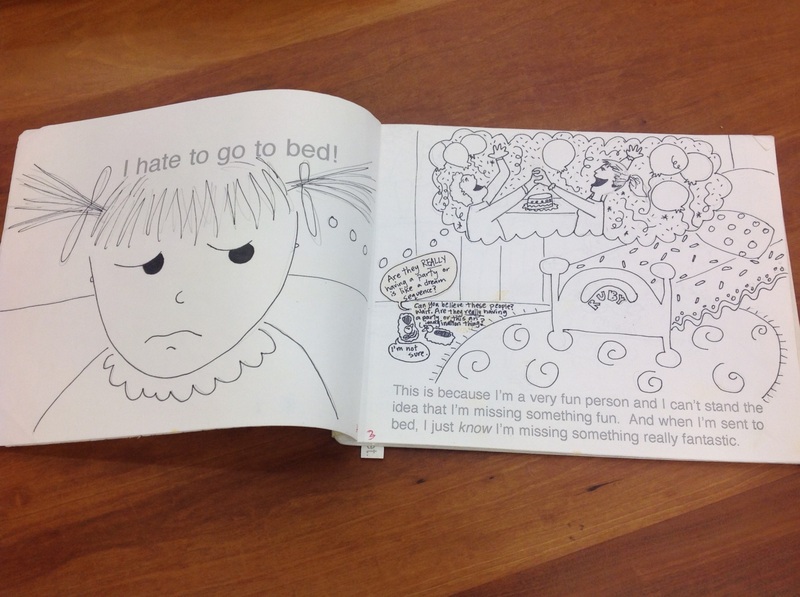 Opening spread of I Hate to Go to Bed!, 1st dummy in Box 4: Folder 15 of Katie Davis Papers. All rights reserved. No reproduction of any kind allowed. 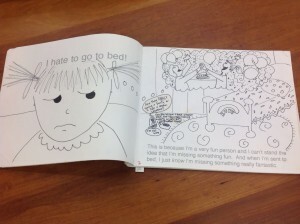 Opening spread of I Hate to Go to Bed!, 2nd dummy in Box 4: Folder 18 of Katie Davis Papers. All rights reserved. No reproduction of any kind allowed. The study of both text and illustrations reveals that Katie kept working the text and art, paring both to their essence. Her final version of the first spread immediately grabs a reader and sets the stage for the storyline to play out in a well-paced way over the rest of the book. The frowning face of the determined protagonist remains almost identical throughout all versions of the first spread. Ultimately, that face, along with twelve words in two short sentences, clearly share her BIG problem with the reader. Throughout the many variations of the remaining storyline, Katie explores different approaches, both with art and text, to reveal how her protagonist tackles and solves her dilemma. All versions include varied layers of meaning and humor. Sometimes, the same words, illustrated in different ways, change the plot and the story’s pacing. How will what I’ve studied so far change my own process as an author? I plan to slow my process down to focus more clearly on my story’s essence. I will try to pare text to get to the universal—the situation, emotion, or problem that every kid can relate to in my writing. I hope slowing down will help me to imagine different ways the story arc might play out around the universal theme. I shall play “what if?” and “why not?” with my words in a way that will let an illustrator fill in blanks. I will strive to be less wedded to the “first” story I write; there may be other words or plot angles that offer more opportunities for an illustrator. If I am to truly leave room for an illustrator, I need to focus even more on making every single word musical and meaningful. To accomplish all of the above, or to strive to do so, I plan to create a dummy (for the text) for every story I write. I have done this with some of my manuscripts, but not all, since I have developed a good sense of story arc and appropriate length for a 32-page picture book. However, I believe parsing the text of each story I write, and placing it on the pages, will further improve my craft by encouraging me to 1) better examine what words belong on each page/spread, 2) consider whether my words allow for expansion of my story through different actions/illustrations, 3) improve forward plot motion and page turns,4) evaluate alternate story possibilities and pacing, and, just perhaps, 5) “see” more clearly how a better story might be told. I can’t wait to start! And I can’t wait to continue my research!